Video: Canada Day Harinama (Outdoor Chanting) ~ The Toronto Hare Krishna Temple! On Saturday, July 1, 2017 the entire country was celebrating the 150th birthday of Canada! The Hare Krishna Temple did it's own version of celebrations by having an amazing harinama (outdoor chanting) right in downtown. 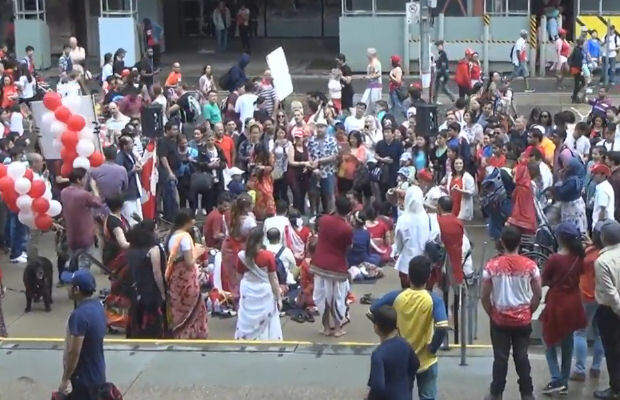 Dressed in Canadian red and white colours, the smiling devotees brought music, dance and joy to the streets of Toronto!